Get ready for it, the new Motorola is coming, and it’s bringing with it a USA assembled, customizable phone known as the Moto X. 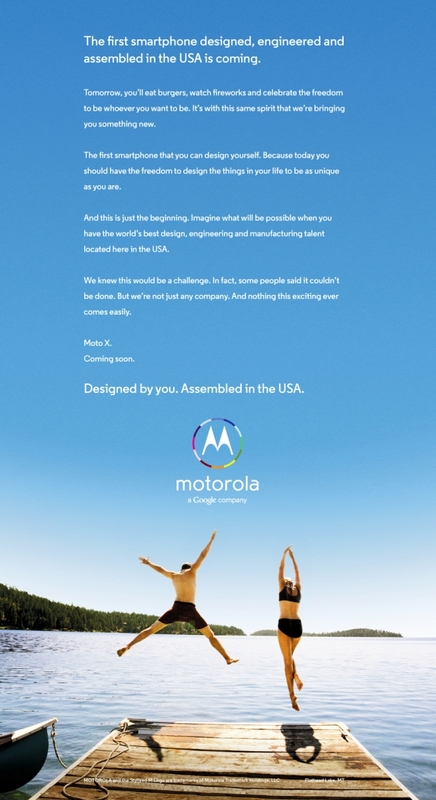 In an advertisement expected to run in newspapers tomorrow, Motorola talks about their new project and how no one thought they could do what they are about to do. The Moto X was first announced (if you can call it that) on May 29 by new Motorola CEO Dennis Woodside. He said at the time that they planned to assemble the device (which he dubbed a “hero” device”) in Texas, something no other company currently does. He also mentioned that the phone would use advanced sensors to predict your needs, is “unlike other things out there,” would arrive later this summer, and will be widely distributed amongst carriers. 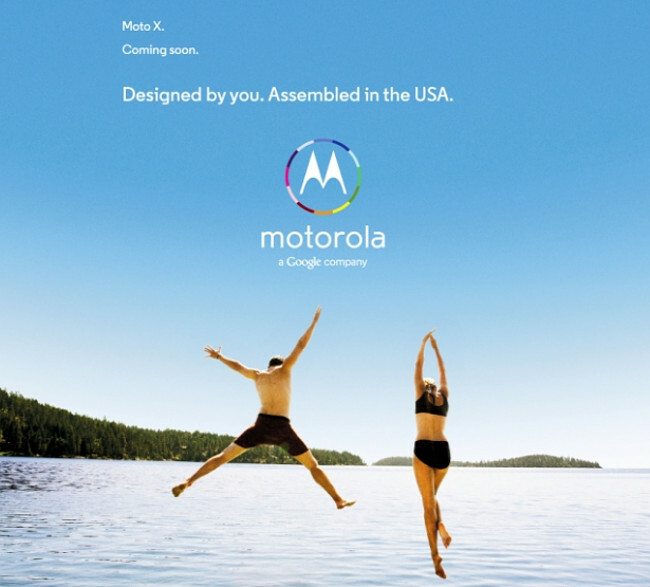 In this advertisement that will be published tomorrow – can see it in New York Times, USA Today, Wall Street Journal and Washington Post – Motorola introduces another new feature to the Moto X, maybe the most significant. The phone will be the first that “you can design yourself,” the ad reads. We aren’t exactly sure what that means, but your mind can probably come up with a few ideas immediately. Are we talking the appearance of it or are we talking internal hardware choices too? Both? We’ve heard rumors in the past that suggest color choices (maybe up to 20), but will the look be the only thing you can customize? Motorola’s VP-global brand and product marketing Brian Wallace said in an interview to Ad Age that smartphones are like shoes or a watch in that you carry them everywhere with you. People even judge a person based on their smartphone. “Yet, it’s the one thing you carry that’s the least customizable.” They are going to change that. We should also point out that Guy Kawasaki – one of Moto’s new champions – asked his G+ followers back in March if they’d like to be able to personalize their phones like Porsche allows with their Exclusive program. We assumed at the time he was talking about a program similar to what we’re about to see. I guess those thoughts were right. How exciting. View the entire ad below. Android 4.3 to See App Drawer Sorting by Favorites or Alphabetically?